One thing I've learned about having a cooking blog... There are definitely perks. And in "perks" I'm talking about free food tasting! This past weekend, I had the honor of judging the third annual Best Memphis Burger Fest, and I've never eaten so many delicious burgers in my life! The burger festival was held in the parking lot of Minglewood Hall with more than 20-something tents and fired-up grills. When I stepped out of the car, there was no denying burgers were being cooked as their juicy, charred smell filled the air. The categories of the burger fest included Best Burger, Best Bloody Mary, Best Veggie Burger, and Best Anything-But (Beef) Burger. I judged the Anything-But category, and loved it! It was so much fun to see how creative people got with the challenge of creating a burger NOT made of typical beef. As judges, we were given four boxes with one whole burger for each of us. That means, we each got one whole burger to ourselves (x4). Nothing wrong with having four burgers to eat! 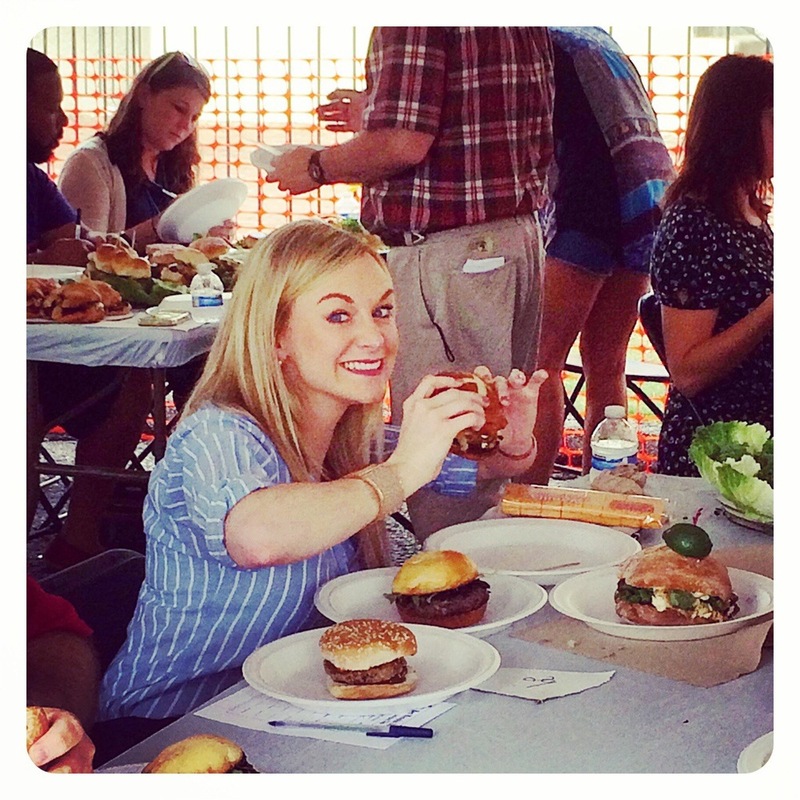 We judged the burgers on appearance, taste, and tenderness. I have to say, being a burger-taster was one of the more fun jobs I've had in life! But you don't have to be a judge to enjoy delicious burgers at this festival! If you live in Memphis, and you didn't attend the burger fest this year, you should most definitely attend next! You pay a small fee to get in the gate, and for a small donation, you try different burgers from the contestants all day long! The best part?! The proceeds went to the Tunica Humane Society, the Streetdog Foundation, and the Fayette County Animal Rescue, so a small fee was paid to eat burgers all day and help sweet whittle babies! What an amazing event!! I also must give a huge shout-out to my friends, Pigs Gone Wild (aka PGW), who absolutely killed it in their very first year entering Memphis Burger Fest! They took home 10th PLACE in the Best Bloody Mary category and 6th PLACE in Best Burger. I saw the magic that went into their burger making and know their honors were WELL deserved! Congrats guys!!!! CHEERS TO HAPPY BURGER EATING & ANIMAL RESCUE!! !